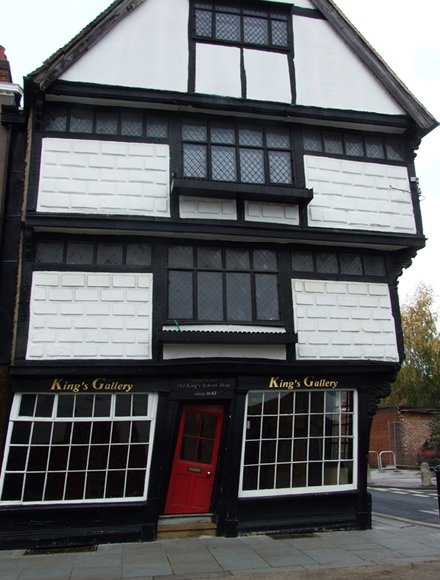 Guided walking and coach tours in Canterbury. 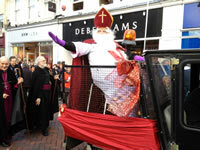 Canterbury tourist guides. Explore Canterbury, Kent. 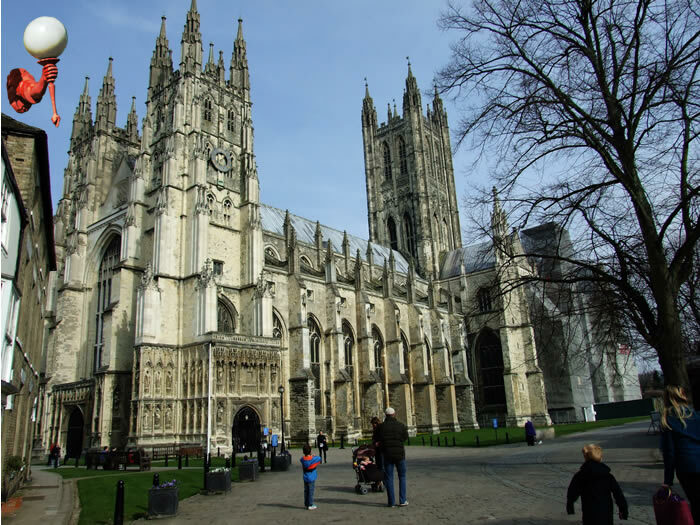 Blue Badge qualified guided walking tours in Canterbury, Kent. 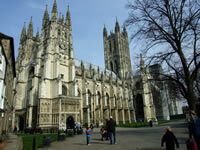 Blue Badge qualified guided coach tours in Canterbury, Kent. 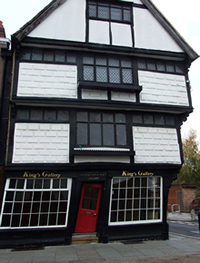 Blue Badge qualified guided tours in Canterbury, Kent. Blue Badge qualified guided walking tours in Kent. Canterbury Cathedral dominates the skyline of Canterbury City. It is the oldest Cathedral in England and along with the ancient ruins of St Augustine's Abbey and St Martin's Church, it forms Canterbury's UNESCO World Heritage Site. Other ancient ruins such as the Castle are reminders are a testament to Canterbury's rich history and heritage. Canterbury also enjoys, in contrast, elements of a modern and vibrant city with a plethora of contemporary retailers including many high street names along with independent retailers. The West Gate Towers and Northgate areas include specialist and individual outlets which are a delight to explore. By the way, see anyone famous in this photograph? A guided walk on foot through ancient lanes and streets is a fun and enjoyable way to explore the city and will help you make the most of your time here. There's a tale to tell about each and every one.